How exciting it is! These fabulous sequin dress just arrived. They are especially made for small flat chest dolls such as Erin S. and the new FR 12 inch doll body. The sequin dress set includes dress, belt and a pair of open toe boots. The dress is very well made. Oh, I love these shoes for 12 inch girls. I adore them. They are fabulous! I wish I can take better photos because they do look better than photos. 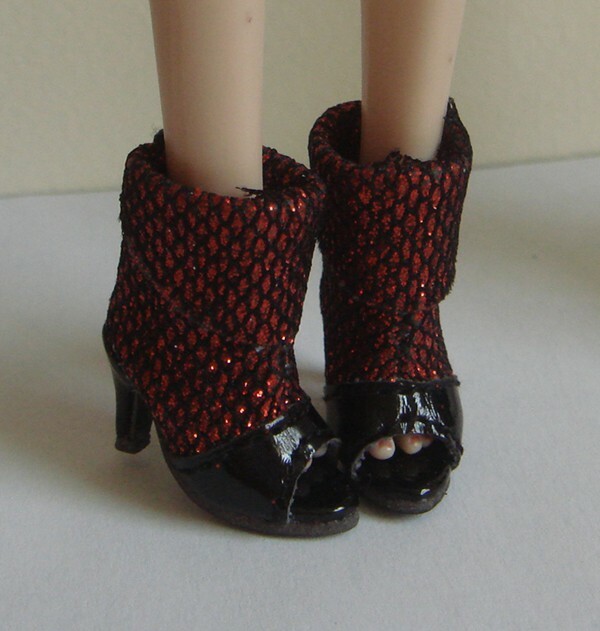 Christian louboutin Style shoes wore on Barbie Silkstone. It's a good fit. Christian Louboutin Style shoes wore on FR2. It's a good fit. The right feet is not perfect fit, but it's ok.
Christian louboutin Style shoes wore on regular FR dolls. It's a bit too large for regular FR, but the shoes are not too loose either. They stay on the feet. So they can be worn by regular FR as well. Christian Louboutin Style shoes wore on Misaki doll. It's a good fit on Misaki. As you can see, this shoe size is very versatile. It fits lots of 12 inch fashion dolls. Below are the same style with different color, all used Misaki feet. The above shoes are available now and each pair is $15. They will be soon available on our website. 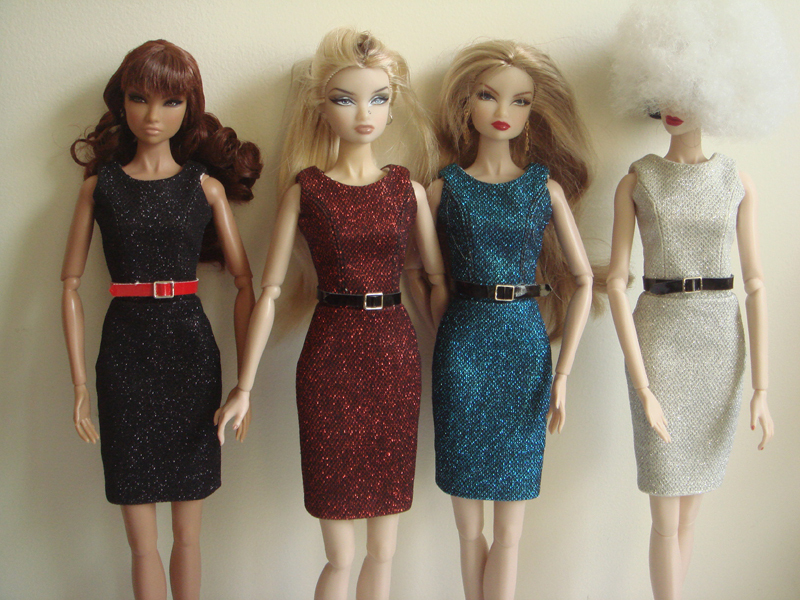 If you can't wait, please email us at sales@jenniferdolls.com and specify colors, quanities, and styles. We will send you a paypal invoice to pay. Don't go yet. There are more exciting styles for you to pick. Wedge Pump wore on Barbie Silkstone's feet. Its an excellent fit on her. Our metallic brown wedge pump is sure to please your girls. Wedge pump on regular FR dolls. Please note, this doesn't fit Misaki or FR2. Our laceup calf boots are so popular, we got more colors besides basic black and white. moroon laceup calf boots. Note, it's not a red color, it's moroon, a deep red color. Beautiful color. Again, if you want to order shoes. Please email me at sales@jenniferdolls.com. Please specify colors, styles and quantities. I will send you a paypal invoice. Thanks for looking. Christian Louboutin style will be available for both 12 and 16 inch girls. 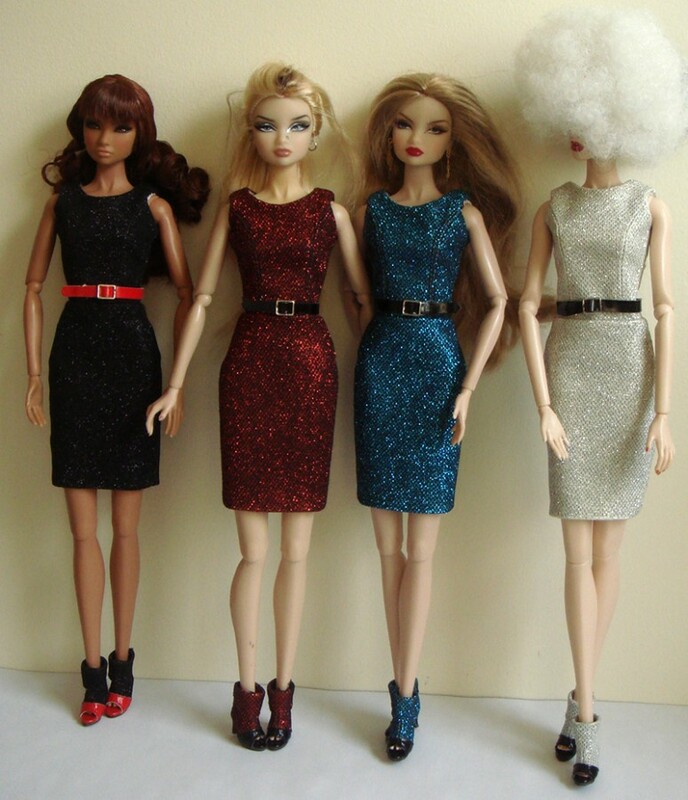 Our dealer Marcia carries the new style for Ellowynee dolls. 12 inch doll shoes will be avaiable our our web store at www.jenniferdolls.com in early January. Here are more photos of these lovely boots, they looks better than photos. They are very shining and beautiful.